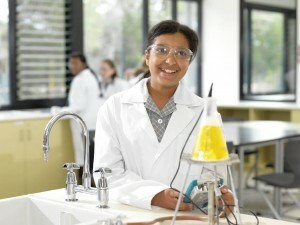 Mordialloc College has a variety of programs in place that extend students in their learning. Mordialloc College is among an exclusive group of schools that belongs to the Academy of Accredited SEAL Schools. We provide the Select Entry Accelerated Learning program (SEAL) for motivated and academically advanced students. SEAL challenges gifted and high-achieving students in their studies, enriches their learning experience and helps them to fulfil their potential. We place particular emphasis on VCE subject selection and pathways to University. Through this special program, students are selected to complete the first four years of school in three years. Interested Grade 6 students who are entering Year 7 in 2019 should not miss this opportunity. In senior years, the College enables learners to continue their academic program and accelerate their learning to complete VET and VCE units above their year level. Students in Year 10 are able to access certain VET courses (off site) and VCE units at Year 11 level. Students in Year 11 can access Unit 3 & 4 subjects. This enables students to gain early experience in the VCE as well as complete more units. Currently 45 per cent of Year 10 and 11 students are taking VCE units above their normal level. At various times throughout the year, students participate in competitions in many subject areas. Involvement in these provides opportunities for students to extend their knowledge and to be challenged. Participation in national subject competitions includes Maths, English, French and Science.